 Manager due diligence covers all major asset classes and our research team maintains a database of firms, portfolio managers, and all related correspondence. Importantly, our research team does not perform universe screens to identify prospective portfolio managers and teams. Most currently sourced funds and strategies have come through our extensive network and reach within the investment community, as well as the broader investment bank capital introduction network. When performing due diligence, there is no substitute for experience and judgment. Our investment and operational due diligence process is methodical and rigorous. When we examine a manager, we not only review the manager and their performance history, but also their infrastructure, back office support, and service providers. Finding portfolio managers with a unique investment edge is equally as important as verifying that they have the controls in place designed to protect our clients’ assets. Prior to making any allocations, our research team sets the expectation with the fund manager and their team that we require a certain level of transparency and touch points. We perform ongoing due diligence on our approved managers comprised of a minimum of quarterly calls and annual on-site meetings to ensure that they are adhering to their style, process and investment mandate.